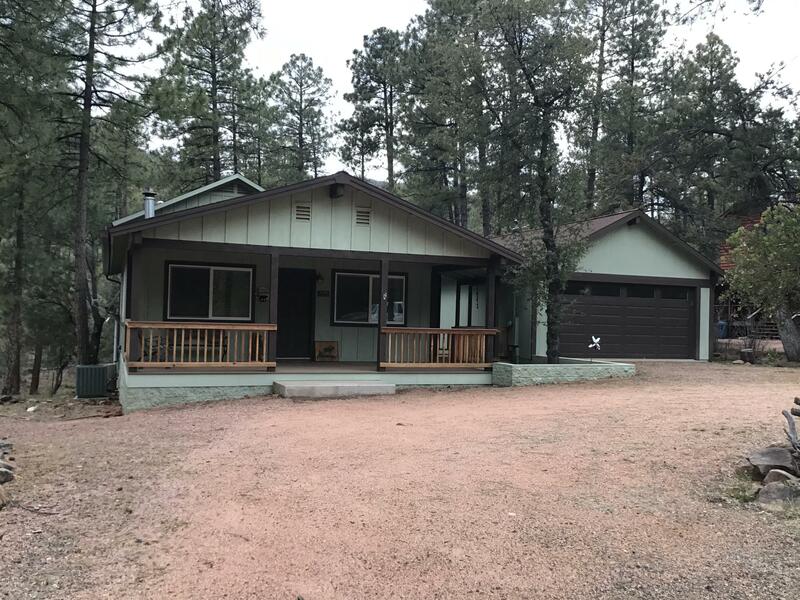 All Pine homes currently listed for sale in Pine as of 04/25/2019 are shown below. You can change the search criteria at any time by pressing the 'Change Search' button below. If you have any questions or you would like more information about any Pine homes for sale or other Pine real estate, please contact us and one of our knowledgeable Pine REALTORS® would be pleased to assist you. 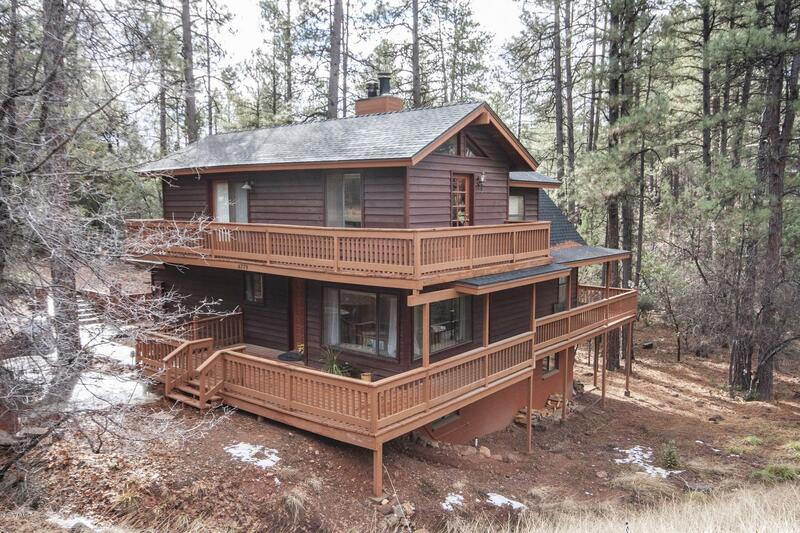 "Private 44 Acre retreat in the tall Ponderosa Pines near Payson. This gated retreat features a private paved driveway that climbs to a secluded well appointed home. 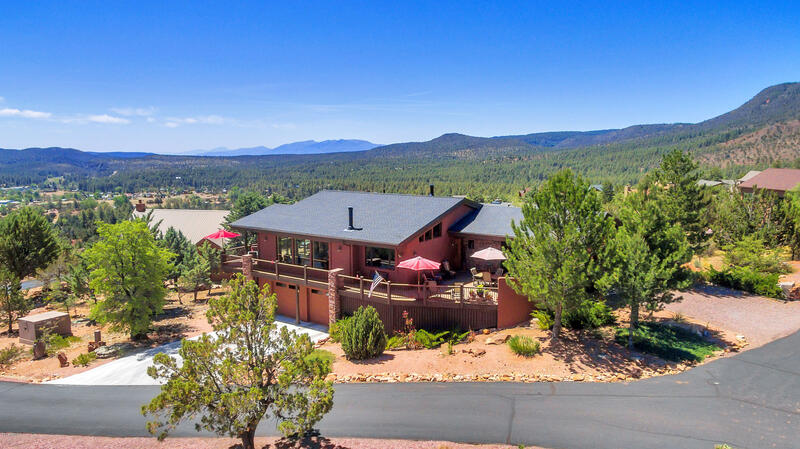 Featuring 4 bedrooms and 3.5 baths multiple indoor and outdoor fireplaces, decks and views of the rim country and distant vistas. From one of the highest perches in the area you can relax and enjoy all the creature comforts of the city but escaping to the the finest mountain hideaway under two hours from PHX metro. Escape the summe"
"Exquisite home in Strawberry Hollow. Welcoming entry with travertine stone w/4 foot medallion mosaic and double built-in fish tank. Living room has extra plush carpet, 12' ceiling, gas fireplace, spectacular rim views and opens to deck. Gourmet eat-in kitchen has walk-in pantry, granite countertops, travertine floors, cherry cabinets, double ovens, trash compactor and upgraded appliances. Spacious master suite has fireplace, dressing room , sitting room, large walk-in closets. 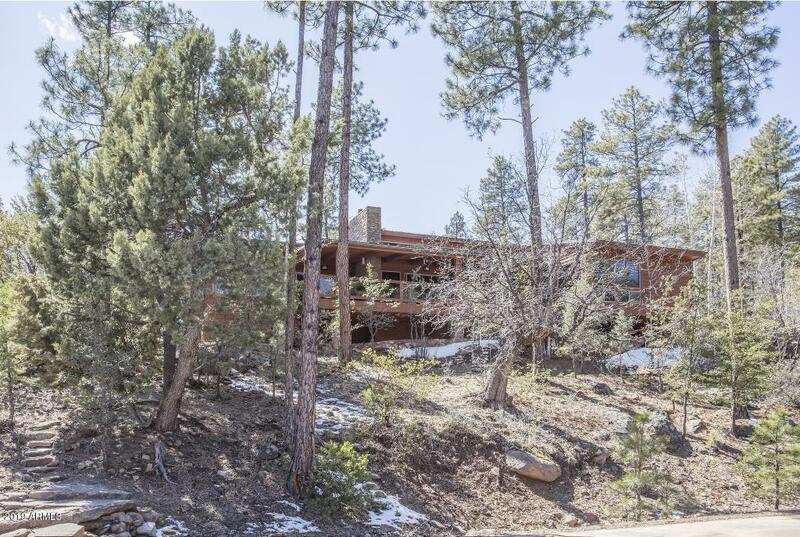 Other master b"
"Fabulous mountain contemporary home with spectacular mountain views and backs to the National Forest! You will enjoy cool crisp mornings and brisk summer evenings savoring the panoramic mountain views from either the front or back deck outdoor living space. Upon arrival, ascend the stairs to the front deck and enjoy the picturesque mountain view before entry. Once inside, the sleek, majestic floor-to-ceiling stone fireplace, wood floors, vaulted, tongue & groove ceiling and wall of windows provi"
"Spectacular custom home in the prestigious gated community of Portals IV! 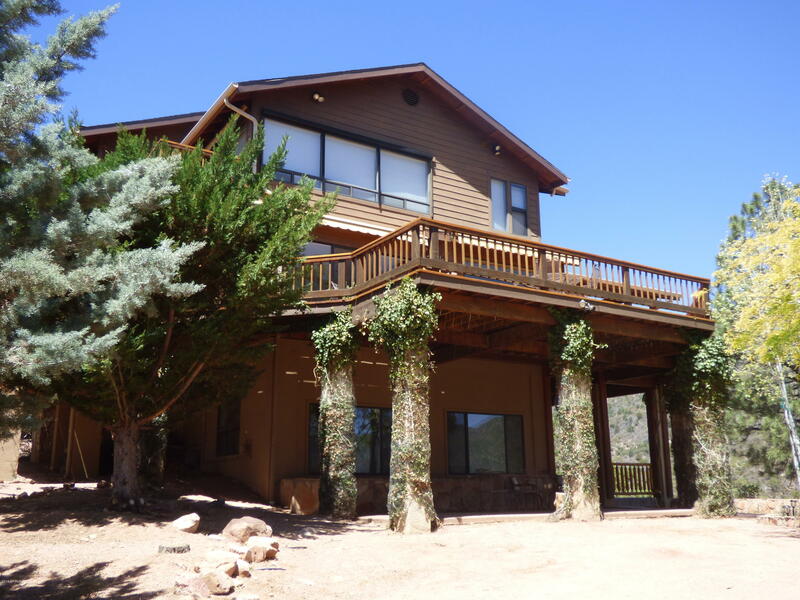 This home features 3 bedroom/3 bath main-level living with a Mother-in-Law suite and living area downstairs and is privately situated on a .23 acre lot with panoramic mountain views. Entry to the home is through a private courtyard which opens to a wonderful outdoor kitchen and almost complete wrap-around, zero-maintenance Evergreen deck. The home itself is virtually zero-maintenance as well with a stucco and stone exterio"
"Panoramic forest & mountain views bordering National Forest. Spacious family gathering place with two levels providing a area for the kids in the family room downstairs & the adults in the livingroom upstairs! Open kitchen features corian countertops, upgraded appliances, island cooktop, warming drawer. Two dining areas with access to the maintenance-free wrap-around deck perfect for relaxing or entertaining. Beautiful stacked stone two-way fireplace in livingroom, rich Brazilian cherry wood flo"
"Want a Spectacular view inside and out from every room in the house? Here it is! Located at the end of the cul-de-sac bordering Portal 2's common area you provides privacy. Huge cedar wrap around decks with built in BBQ to entertain family & friends. Magnificent kitchen with Viking gas range, Subzero fridge, cherry cabinets & quartz countertops. 2 Master Suites. Dining area & 1 Master Suite. Upper level features 2nd Master Suite & Loft. 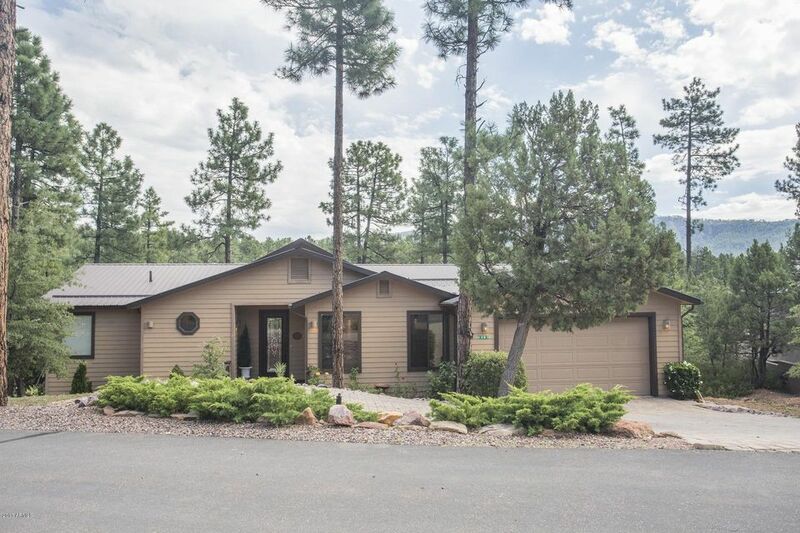 A spacious lower level with new Purgo flooring and fresh pa"
"Spectacular 3 BR 3 Bath cabin provides panoramic views of the Mogollon Rim, Tonto Nat'l Forest, and charming mountain hamlet of Pine. Well suited for a fabulous primary or second home. 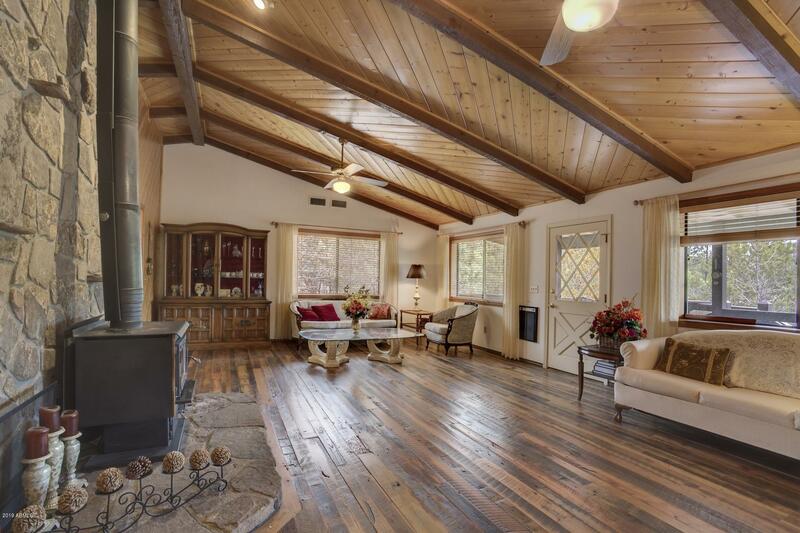 Featuring a spacious great room with soaring 2-story windows, with warm and inviting gas FP and wood floors. An extra-large wraparound deck off the great room and main floor bedrooms brings the outside in and expands the areas for relaxing and entertaining. The expansive finished basement includes a TV area, play "
"Tucked in the pines at the back of a level wooded lot is this new custom home welcoming a new owner. This beauty backs up to a wooded ravine with great views of the rim.Attention to detail can be found throughout this home from the inviting entry with 5 ft. wide open staircase and the wide hall way drawing you into the warmth of this home. Kitchen features cherry cabinets with a slate stain and honed quartz counters. Stainless steel gas stove, built in refrigerator, island that seats 4. Grea"
"Beautiful house in Strawberry Mountain Shadows 2. Awesome mountain views! Wonderful split floor plan. Flooring is authentic reclaimed barnwood -- you will love it! Kitchen is a chefs delight with huge butcher block island with additional sink. 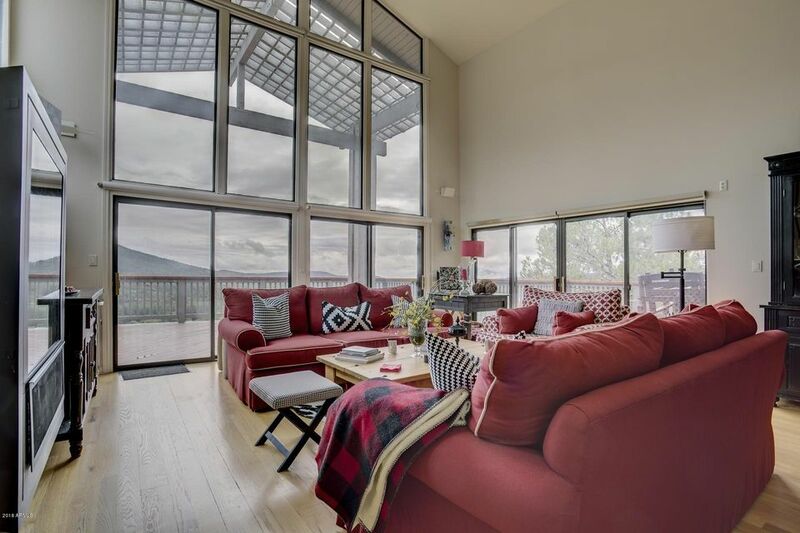 Living room is open with windows and decks showing off the views. 2 master bedrooms and 2 additional guest bedrooms. Family/game room with wet bar and wood stove. Large 2 car garage with workshop. Must see this beauty. Area allows Vacation Rentals." "Casual opulence! 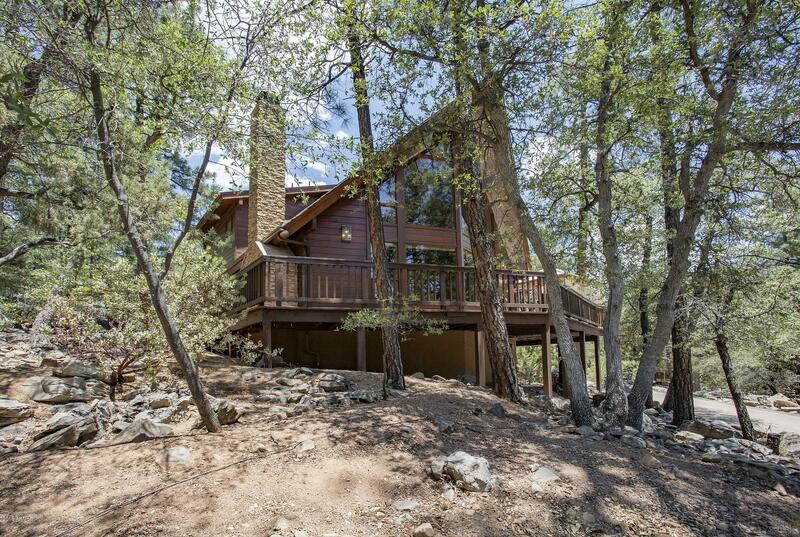 Single level home bordering National Forest. Designed by an architect, this home boasts many custom amenities. 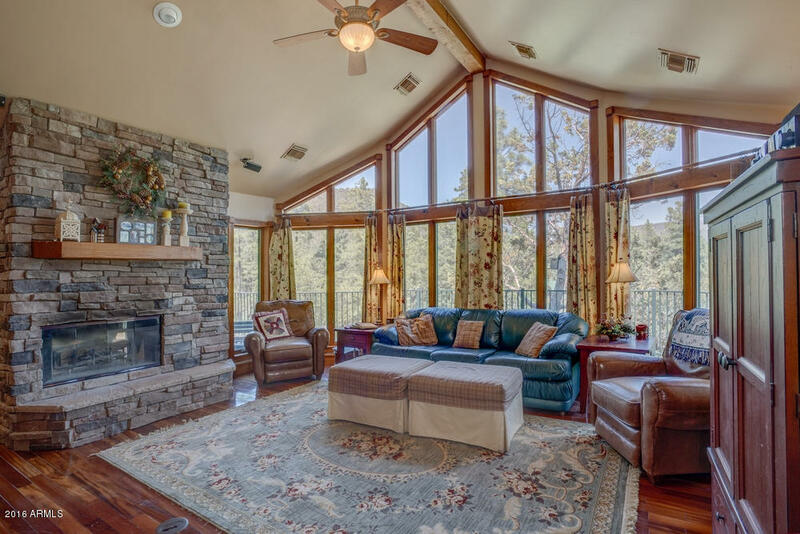 Dramatic windows in greatroom capture mountain & forest views. 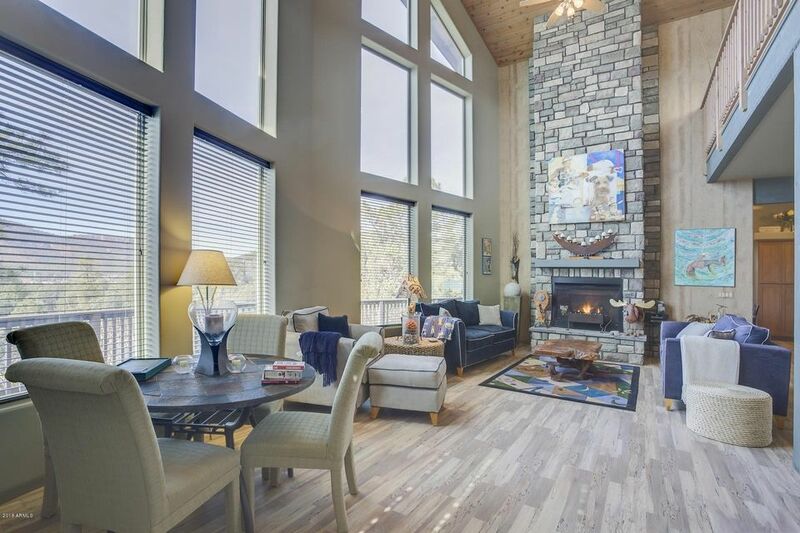 Accented by exposed beam vaulted ceiling, 3-way stacked-stone gaslog fireplace & custom built-in shelving. Granite countertops, S/S appliances, custom cabinetry grace kitchen. Cozy office/den. Easy-care slate flooring thru-out main living areas, carpet in bedrooms. Master retreat with luxurious ensuite bath "
"Stunning chalet-style Lindal Cedar Home nestled amongst towering Ponderosa pines. Post & beam construction using premium western red cedar that ensures lasting quality. A mix of casual elegance & livability that never goes out of style. Wall-of-windows bring the outdoors inside the greatroom anchored by a stacked-stone woodburning fireplace, accented by beautiful engineered wood floors & soaring whitewashed ceilings & walls with splashes of color. Center island kitchen breakfast bar for casual d"
"VIEWS, VIEWS, VIEWS!!!! 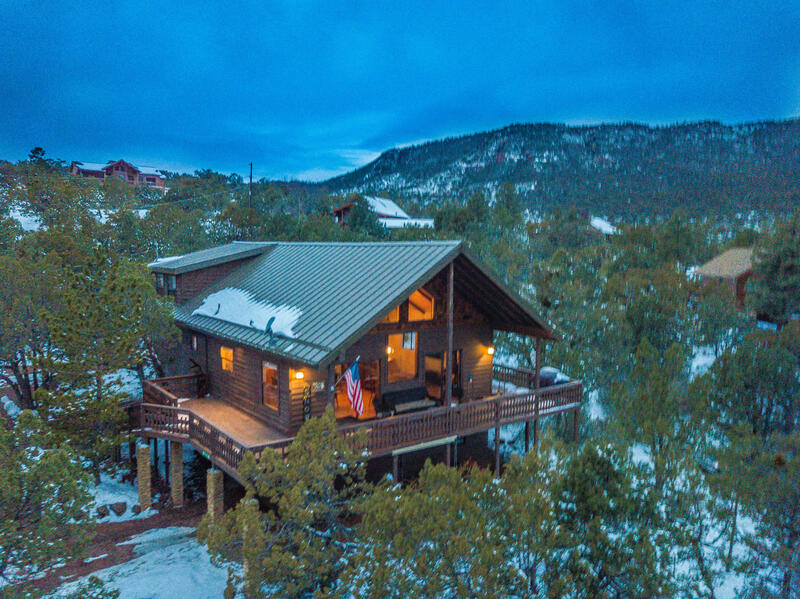 Sitting up high in the mountains of Pine with a wrap around deck with views don't stop, they will take your breath away. This 3 bedroom cabin has been completely renovated with hard wood flooring, ceilings enriched with pine, unique custom railings up the inside stair case, carpet, metal roof installed beginning of 2018, septic replaced Dec 2017, all new lighting, and more. Too much to list. WHAT I LOVE ABOUT THE HOMEFrom the owner:This home sits on a cul-de-sac s"
"Entering this home you will immediately notice the Great room with Hardwood flooring, and T&G knotty pine ceiling, open to the kitchen with high-end Heartland appliances, 2 ovens, stove with warmer and plenty of cabinets. Then to the left you'll see a generous size Family room with unit wired for TV/stereo, and a wall of windows. Master bath features a decorative snail shower (with heat pad in the floor), double sinks and walk-in closet. Hall bath has a claw foot tub plus shower head. 4 bedrooms"
"Lovely well-maintained home featuring a bright & open great room with wall-of-windows, river rock clad gas fireplace, soaring vaulted T&G ceiling, solid oak flooring. Kitchen has pantry, breakfast bar & access to deck. Cozy den with gas fireplace & sliding glass doors out to covered patio. Roomy guest bedroom on main level, bath & laundry room with door to backyard. Upstairs is a beautiful private guest quarters with its own bath & maintenance-free deck. Loft office with built-in desk & cabinet "
"NEW HOME MODEL LEASEBACK OPPORTUNITY. PROVISIONS ARE IN DOCUMENTS TAB. 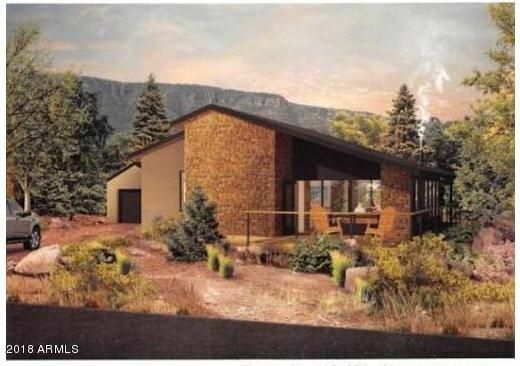 BE THE FIRST TO ENJOY A NEW COUNTRY-MODERN HOME IN THE BEAUTIFUL 4-SEASON MOUNTAIN TOWN OF PINE. THE PONDEROSA MODEL FLOOR PLAN SHOWN, IS ONE OF 10 SEMI-CUSTOM CHOICES. CHOOSE YOUR EXTERIOR MATERIALS & COLORS. A BROAD RANGE OF INTERIOR SELECTIONS OFFER 3 UPGRADE LEVELS. OPTIONAL 513 SQ. FT. LOFT & BATH IS AVAILABLE FOR THE PONDEROSA, GIVING A TOTAL OF 1,533 SQ. FT. 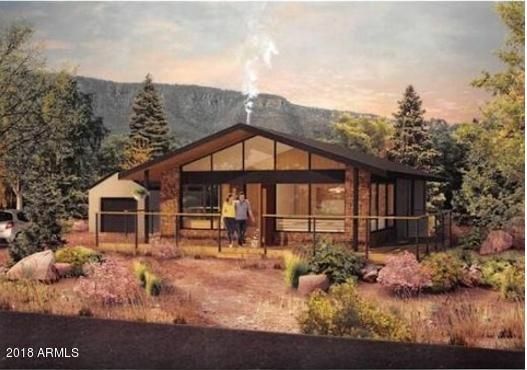 GARAGES, CARPORTS & FIREPLACES ARE ITEMIZED OPTIONS TO YOUR T"
"BE THE FIRST TO ENJOY A NEW COUNTRY-MODERN HOME IN THE BEAUTIFUL 4-SEASON MOUNTAIN TOWN OF PINE. THE JUNIPER MODEL FLOOR PLAN SHOWN, IS ONE OF 10 SEMI-CUSTOM CHOICES. CHOOSE YOUR EXTERIOR MATERIALS & COLORS. A BROAD RANGE OF INTERIOR SELECTIONS OFFER 3 UPGRADE LEVELS. OPTIONAL 513 SQ. FT. LOFT & BATH IS AVAILABLE FOR THE JUNIPER, GIVING A TOTAL OF 1,533 SQ. FT. GARAGES, CARPORTS & FIREPLACES ARE ITEMIZED OPTIONS TO YOUR TASTE. COME VISIT US TO SEE AN EXCITING GETAWAY DREAM IN RIM COUNTY. 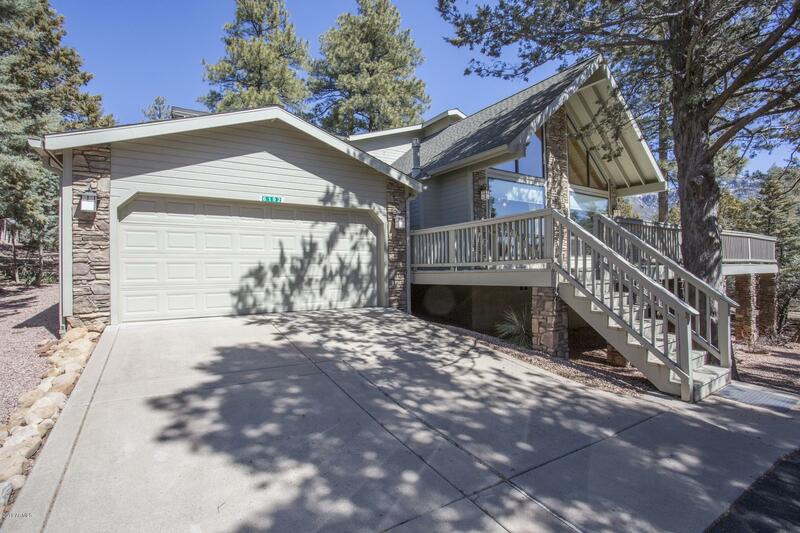 ONE OF "
"This is a mountain house with 4 bedrooms and 3 full baths. Beautiful T/G vaulted ceiling, maple wood flooring on main level and slate flooring on lower level. Master bedroom is upstairs with loft area. Lower level has almost 1000 sqft, wet bar and huge living area. 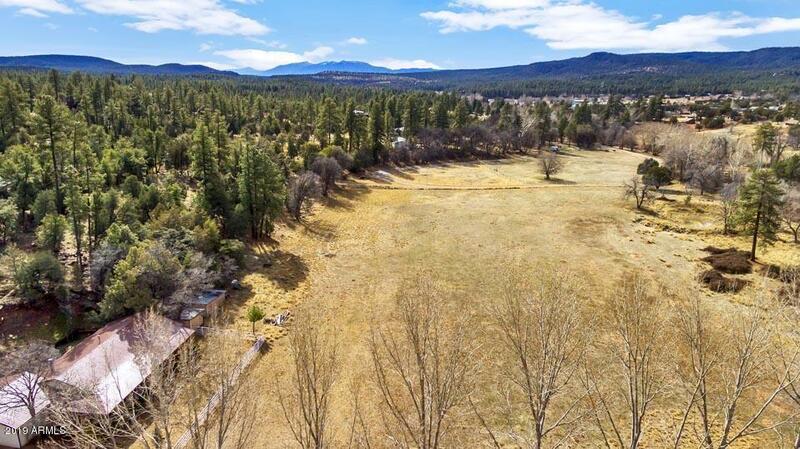 Large corner lot with tall Ponderosa Pines. New roof in 2014. Great family getaway -- has everything one needs for fun, convenience and pleasure. Very private setting . Decks are awesome." 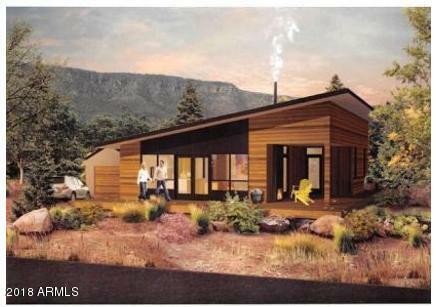 "BE THE FIRST TO ENJOY A NEW COUNTRY-MODERN HOME IN THE BEAUTIFUL 4-SEASON MOUNTAIN TOWN OF PINE. THE MAPLE MODEL FLOOR PLAN SHOWN, IS ONE OF 10 SEMI-CUSTOM CHOICES. CHOOSE YOUR EXTERIOR MATERIALS & COLORS. A BROAD RANGE OF INTERIOR SELECTIONS OFFER 3 UPGRADE LEVELS. OPTIONAL 513 SQ. FT. LOFT & BATH IS AVAILABLE FOR THE MAPLE, GIVING A TOTAL OF 1,533 SQ. FT. GARAGES, CARPORTS & FIREPLACES ARE ITEMIZED OPTIONS TO YOUR TASTE. COME VISIT US TO SEE AN EXCITING GETAWAY DREAM IN RIM COUNTY. 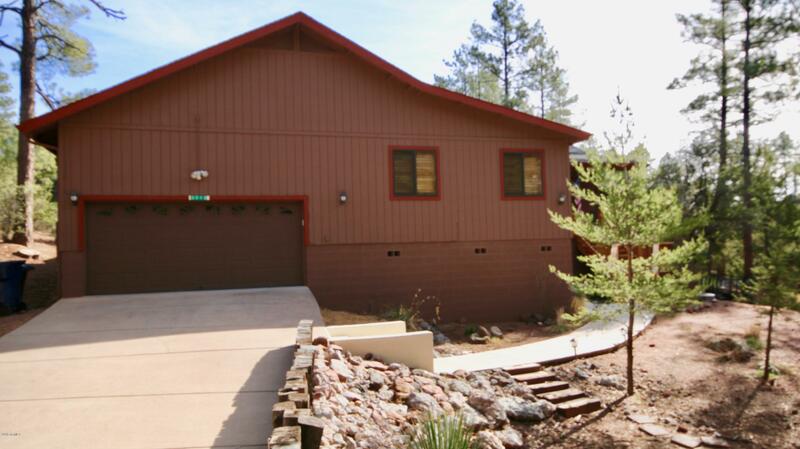 ONE OF THE "
"2 bedroom/2 bath with bunk room/walk-out basement sitting in the tall ponderosa pines with views of Strawberry Mountain in desirable Pine! Ignore the year built as this great cabin in the woods is practically a new build with COMPLETE renovations and room additions (2014): with NEW roof (2011), electrical & plumbing, septic & leach pit (2009), kitchen (2008), HVAC/heat pump (2011) Pellet stove (2012)/Wood burning stove (2015) front porch & deck with trex (2015) rain gutters, new garage door & "
"BE THE FIRST TO ENJOY A NEW COUNTRY-MODERN HOME IN THE BEAUTIFUL 4-SEASON MOUNTAIN TOWN OF PINE. THE PONDEROSA MODEL FLOOR PLAN SHOWN, IS ONE OF 10 SEMI-CUSTOM CHOICES. 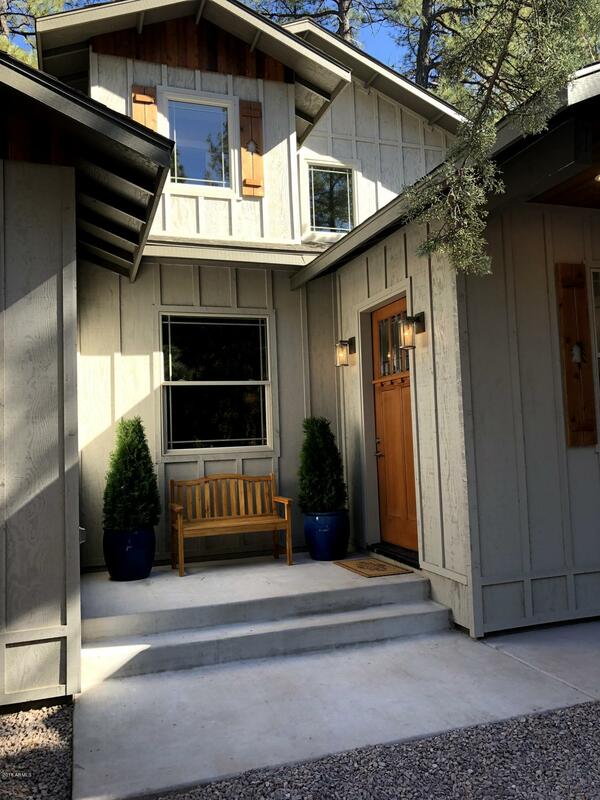 CHOOSE YOUR EXTERIOR MATERIALS & COLORS. A BROAD RANGE OF INTERIOR SELECTIONS OFFER 3 UPGRADE LEVELS. OPTIONAL 513 SQ. FT. LOFT & BATH IS AVAILABLE FOR THE PONDEROSA, GIVING A TOTAL OF 1,533 SQ. FT. GARAGES, CARPORTS & FIREPLACES ARE ITEMIZED OPTIONS TO YOUR TASTE. COME VISIT US TO SEE AN EXCITING GETAWAY DREAM IN RIM COUNTY. ONE"